I grew up in two places - but primarily in a farming community. We had a killer Aggie (agriculture) dept at our school - Goooo Saints!! 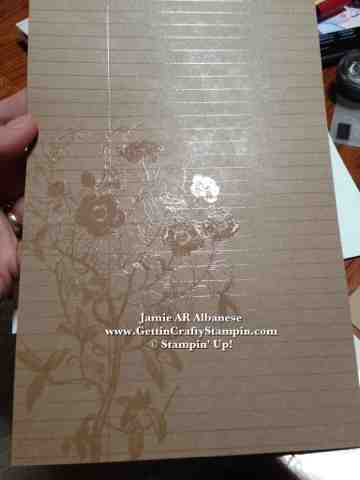 When I saw this stamp set I knew it'd be mine! I like builder sets and this window has me excited... sadly it's going to be GONE this week as it's RETIRING*!! 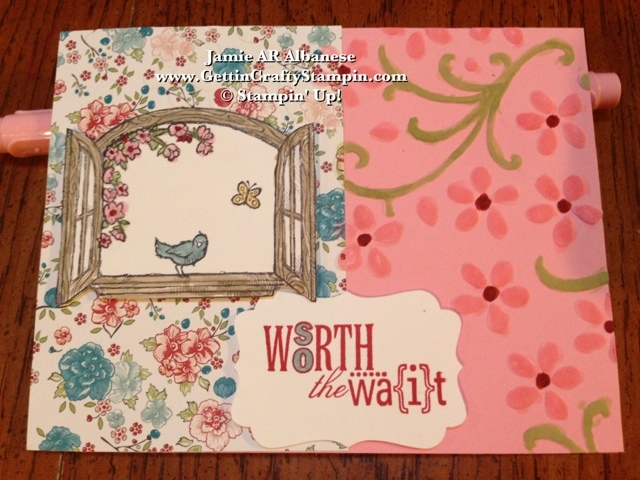 CLICK HERE and see the $avings, too! 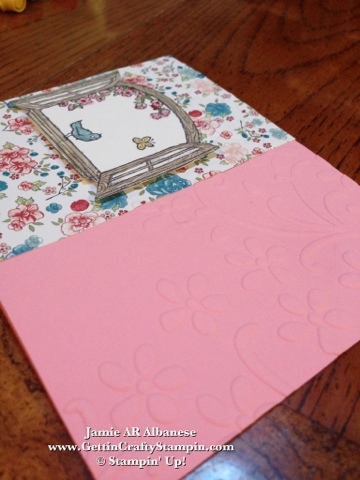 Here our Pretty In Pink* card stock (#100459) as the base is embossed with our Elegant Bouquet* embossing folder (#115964) and our Big Shot (#113439). 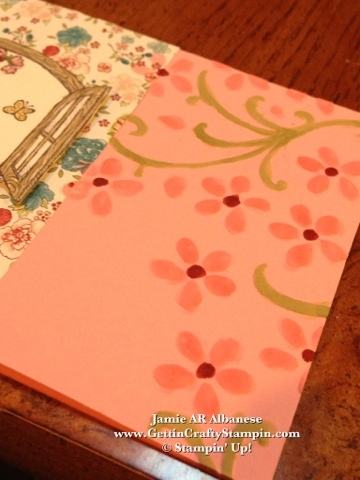 This floral textured background ties in with our Twitterpated* Designer Series Paper (#125406). 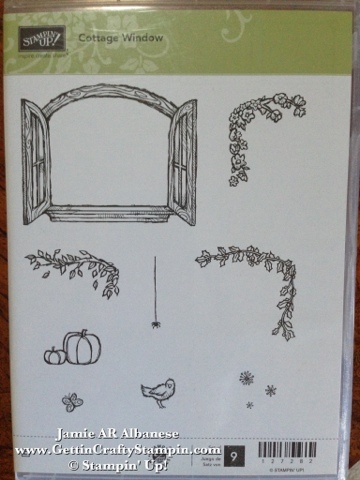 This stamp set really covers all seasons and can open the window to cheer to anyone! 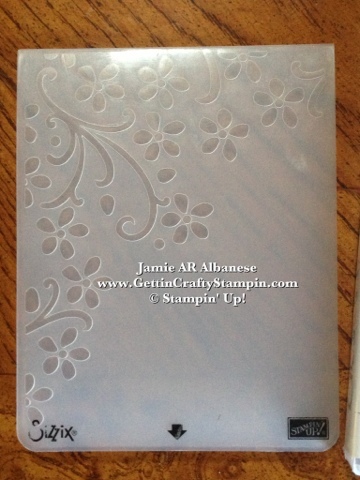 An embossing folder like this, though retiring, is sure to live a long and bright life! 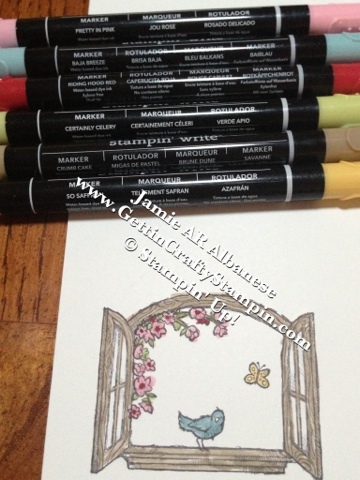 Our Stampin' Write Markers make life easy and FUN! Here the Pretty In Pink*, Riding Hood Red*, Baja Breeze* are all Retiring* but are full of life! 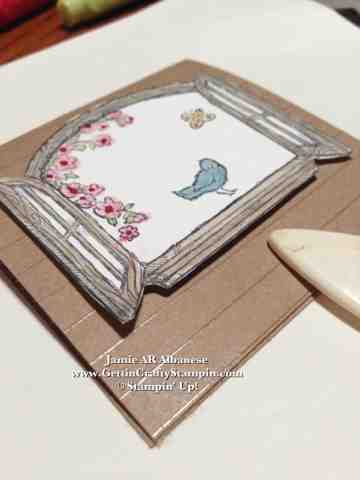 We used the same markers to color the embossed flowers... it ties into the patterned flowers on the Twitterpated* paper. 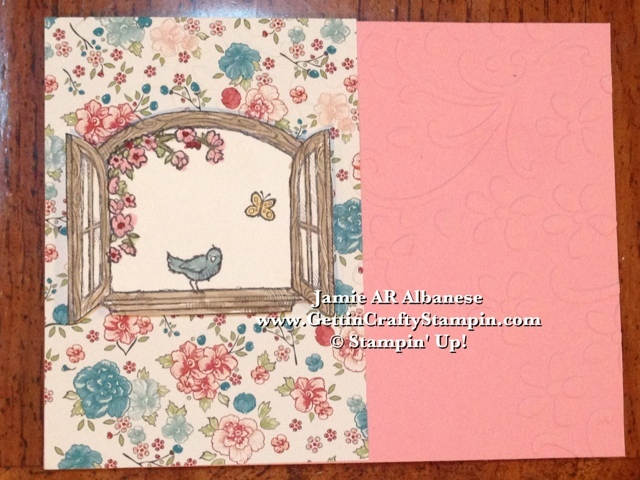 Stamping the Spring Window, bird and butterfly on Whisper White card stock (#100730) with Early Espresso ink (#126974) then coloring it in... cutting out our with our Paper Snips (#103579) gives you a real 'open window' feel! 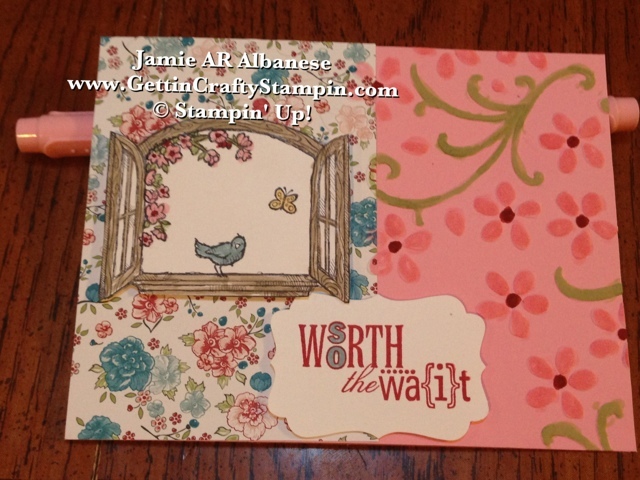 Popping it up with our Stampin' Dimensional adhesive (#104430) for additional dimension. 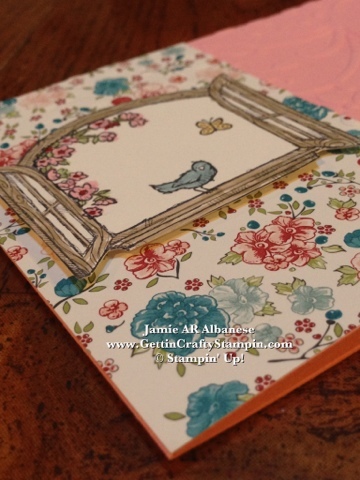 Colored, embossed flowers adds a fun twist on this card. 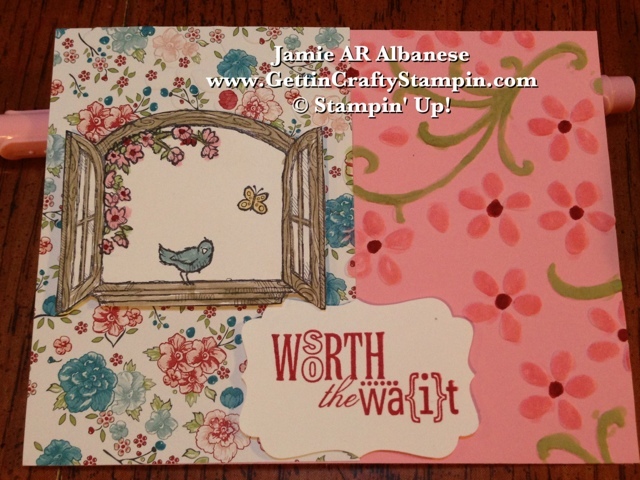 Word Play* stamp set (#120308) is a fun and soon to retire stamp set that covers sooo very much! The Decorative Label punch (#120907) fits a ton while being elegant and classic. My friends and family back East sooo know what it's like to wait on Spring... it's sooo worth the wait to them - lol. 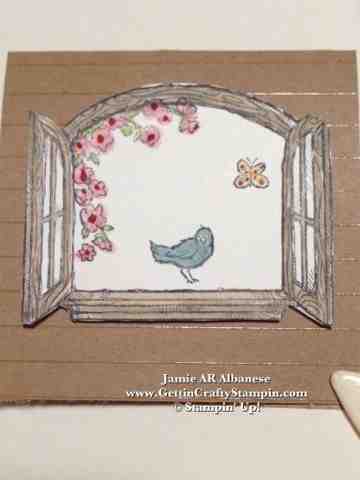 A sweet 3" x 3" with this window..
Sure to deliver Spring and Cheer to those who receive it! 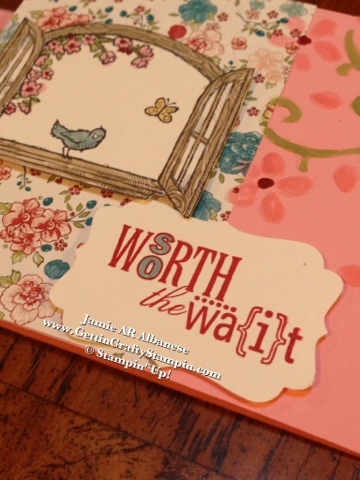 Leave me a comment, let me know what you think! Please share this with others... Pin it, Tweet It, Facebook It, Email It... and remember, you can Follow Me and Share Meeee with your friends and family on ALL of those channels, Instagram, and more!